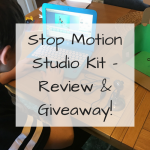 Home » review » We LOVE the Zu3D Animation Kit – Review & Giveaway! We love the Zu3D Animation Kit – now you can be in with a chance to win one too! See further down for how to enter! 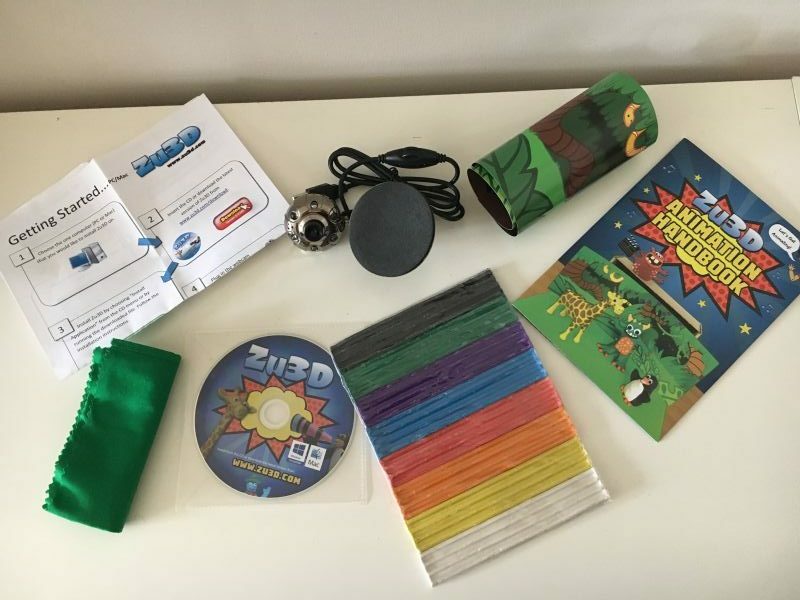 We were really lucky to be sent the fabulous Zu3D Animation Kit last month. It came at the perfect time if I’m honest. We arrived home from our little break to find it had been delivered and was ready and waiting for us. The children had really been looking forward to trying this kitout. My eldest has previously had a stop-motion kit and had so much fun but the one he had was quite limited. I showed him the Zu3D kit online and he was really excited! He had loads of ideas about the type of movie he wanted to make. The Zu3D Animation Kit is geared up perfectly for kids. The instructions in the Animation Handbook are really bright and easy to follow and my 10 year-old had no trouble getting started & showing us how to get started. The set includes a quick “Getting Started” sheet (very helpful! 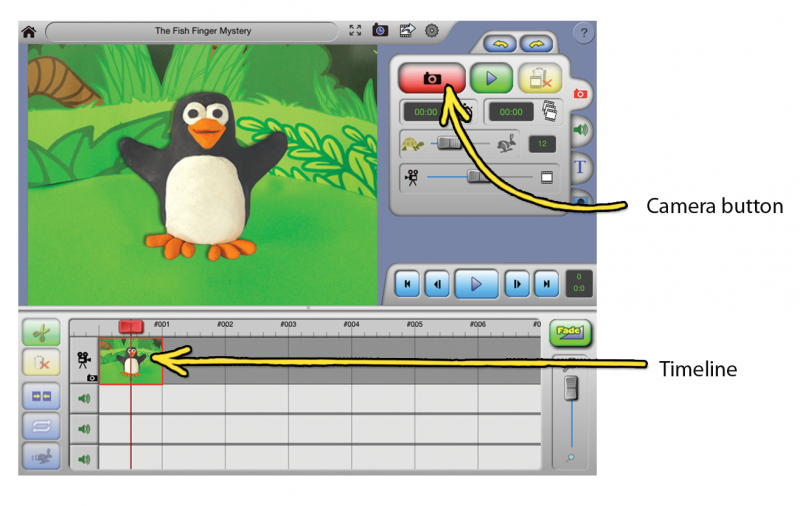 ), an Animation Handbook, Zu3D software, webcam, green screen, background and coloured plasticine. The kids both had different ideas on what they wanted to do, so we decided they’d both do their own stop-motion movies. Little Miss wanted to stick broadly to the ideas given in the instruction manual and put her own spin on it. She loved the penguin they made and promptly made her own using the plasticine included. Admittedly she had a little trouble creating it but she persevered and she was really happy with her “Penny the Penguin”. She also created a duck and her Dad mucked in and made Morph too. 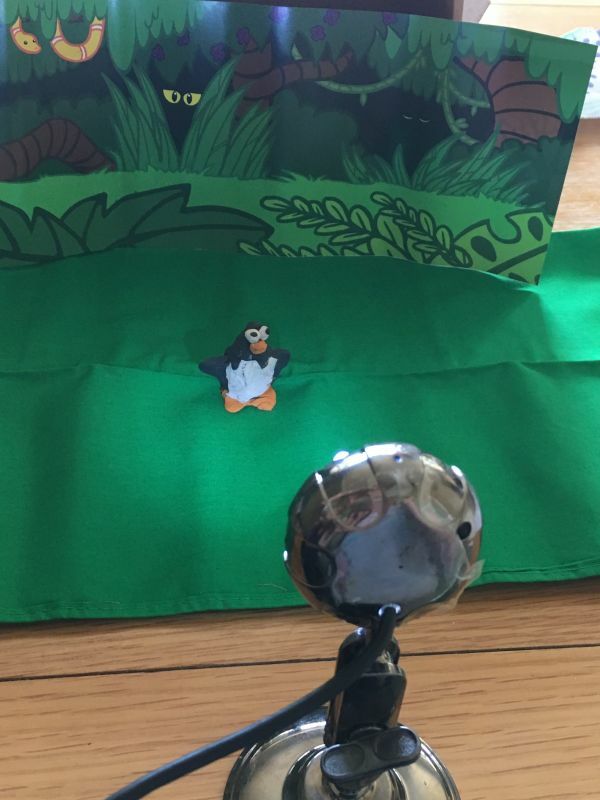 Little Miss’s film is still a work in progress, but so far Penny the Penguin has met Darcy Duck and Morph, she’s managed to move them across the screen using the captured frames and they’ve sat down for a chat together. I think she’s got hours of fun ahead of her finishing this off! Big Man wanted to use lego characters for his masterpiece. He wanted to create a news report with a bit of humour added in! He’s added a lot more detail than his younger sister with a moving opening and he’s also made his own background! The opening frames are fantastic and he figured out how to do this all on his own! The words move across the screen from the top left-hand corner and bounce around the screen before finishing in the centre and fading into his news report. It’s fab! His news report was all about a burglar that was on the run. He added lots of funny touches with the burglar poking his head in front of the camera and seeming to go un-noticed by the reporter. It was very funny to watch and lovely to see him using his imagination. At his age, it’s often difficult to get him to just play but this really encouraged him. He also let his younger sister join in with the voice-over and it was so nice to watch them working together and giggling away! So, if you’d like to get a kit of your own (maybe stash it away for Christmas or a birthday), you can find them here, or, you can enter to win a free kit below! Now you can enter to win a Zu3D Animation Kit of your own! Simply enter the competition via Rafflecopter below. The winner will be announced in the first week of October! UK entries only. No cash alternative will be offered. Good luck! « Affording Your Upcoming Wedding: Are Loans an Option? Fantastic idea and kit, great for any one. My son joined an after school animation club at his primary school this year and loved it so this would be very enjoyable to try at home. I saw these at the ideal home show and the line up to have a turn on one was too long! Technology is so amazing! Def something added to the childrens xmas list! wow. This looks great fun! This is a fab prize, good luck everyone! If I won, I’d give mine to my local primary school. Great idea to keep my son busy! This looks fantastic! My eldest would love to win it! Wow I can imagine my 9 year old twins being facinated by this for hours, I think I’d have a play with it to, its a brilliant idea! An amazingly fun way to get into animation. Nice piece of kit, interesting, thank you. What an amazing prize! Never seen anything like this it looks so easy and simple to use unlike the other programs for animation which is FAR to complicated! Wow this would be amazing thank you for the chance! So cool, count me IN! Both useful and fun. Thanks for the super giveaway. Great prize, i would have so much fan with my kids using this. Wow! Looks like great fun! What a super prize – I know my grandchildren would love this. This looks fantastic fun for the whole family. When I saw this competition, I just had to enter! What fun this looks. I would love to win it for my great niece in South Africa. She is very creative and would make some awesome animations. This looks like a great fun project to get all the family involved with!